Litterally meaning "little Alps", the Alpilles chain does not exceed 500m (1650ft) in height and is only 25km long. However, what it lacks in height is easily compensated by the beauty of its surroundings. Van Gogh, attracted by the countryside and the light, spent more than a year in the town of Saint Rémy de Provence, at the foot of the Alpilles. He saw in it what attracts many of today’s visitors: the jagged lines of the limestone ridge, the lone cypress tree bent by the Mistral winds in an open field, the olive groves highlighted by the intense Provençal sun. Don’t forget to visit Saint Paul de Mausole, the former Romanesque monastery - a mental institution - where Van Gogh was interned for over a year. Just a stone’s throw away is Glanum, a Roman village unearthed around the outskirts of Saint Rémy. As you’re walking along the easy and rolling ridge trail, or cycling along the seldom used roads, comes the Medieval village of Les Baux - one of the most beautiful villages in France - the famous olive oil producer village of Maussane, or the unknown picturesque villages of Barbentane, Maillane and Graveson. The Alpilles valley is also famous for its excellent olive oil, and family-run olive mills spread out in the countryside among the olive orchards. 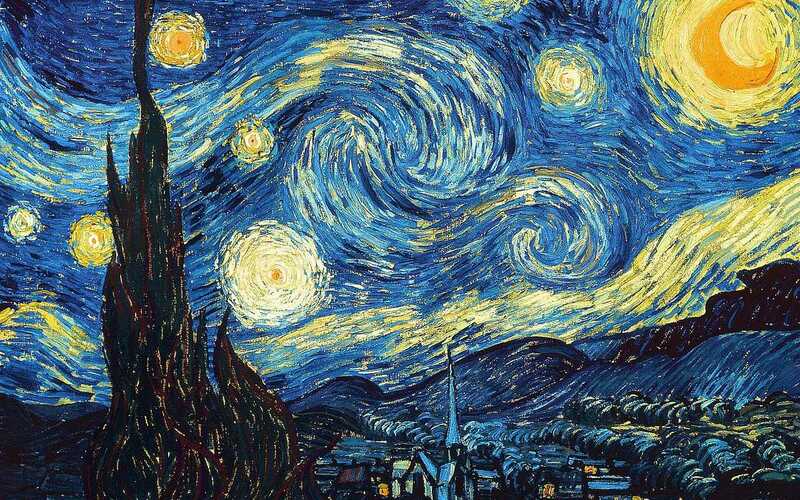 "The Starry Night" (1889) is a painting of the view from Van Gogh's bedroom. Attracted to Provence for its colour and luminosity, Van Gogh spent time in the city of Arles before voluntarily admitting himself to a mental asylum in Saint-Rémy de Provence in 1889. There, he found the serene and understanding environment he needed to concentrate on his art, not to mention the sheer beauty of the surroundings.